A vacation doesn’t have to be exhausting where you spend the entire trip hiking mountains, exploring cities and embarking on thrill-seeking adventures. In fact, a wellness getaway in Morocco might be exactly what the doctor ordered to melt away your stress and unwind. The country is full of lavish hotels, many of them working hard to enforce its laid back, no stress environment, where you’ll be pampered like royalty. 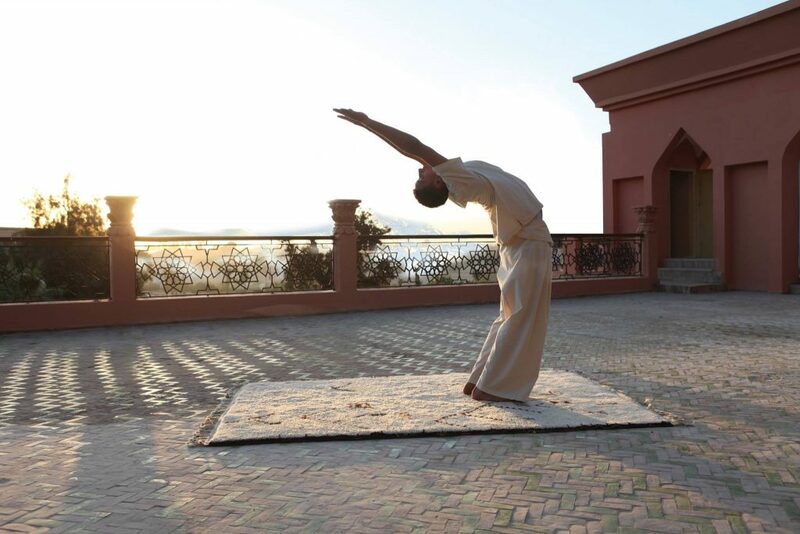 From doing sunset yoga in the desert, to dipping in a relaxation pool, to getting massages in a luxury spa, here are the top wellness hotels of Morocco. Located in Marrakech, this extravagant hotel is built around its spa featuring an indoor mosaic-covered pool, sleek furniture baring royal blue and gold colors, outdoor pool with a bar, therapeutic spa services and more. At Es Saadi Resort, you’ll experience wholesome healthy eating as its restaurant is locally sourced with items like fresh fish and vegetables on the menu (and you’ll want a cup of mint tea to wrap up the meal). 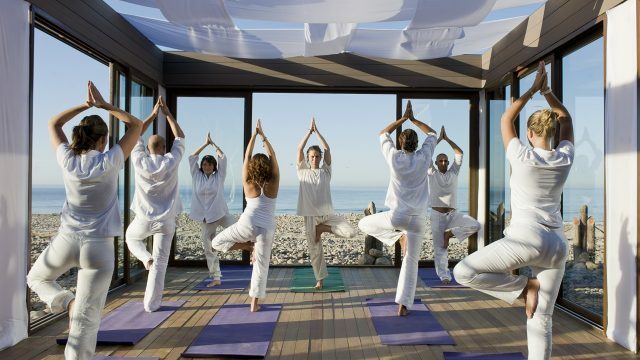 Es Saadi Resort also hosts yoga retreats with packages that include full slow food meals, a visit to the hammam and detox juices. 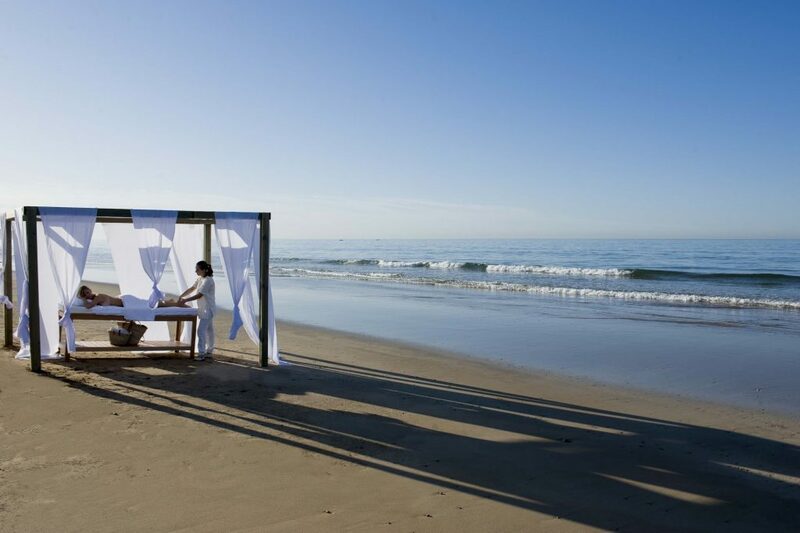 Nothing relaxes the mind more than getting a spa treatment facing the vast and serene ocean. 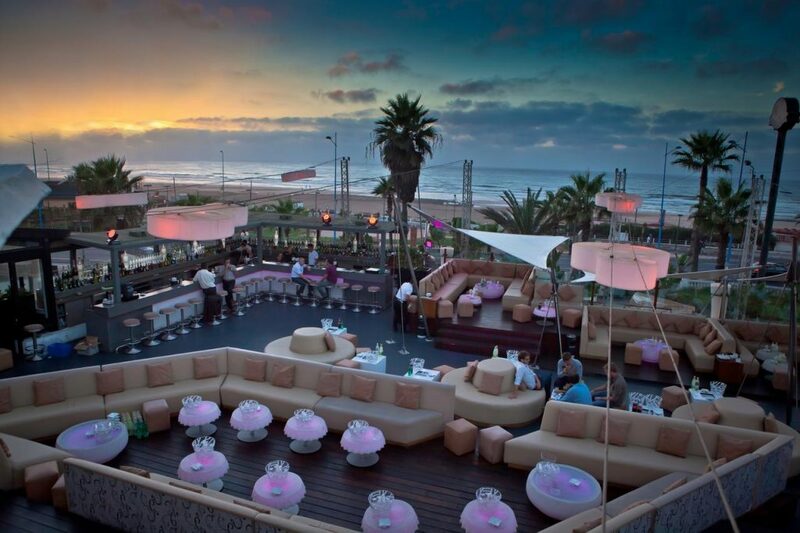 In Agadir, Paradis Plage Resort is centered around getting outside and relaxing by the beach. 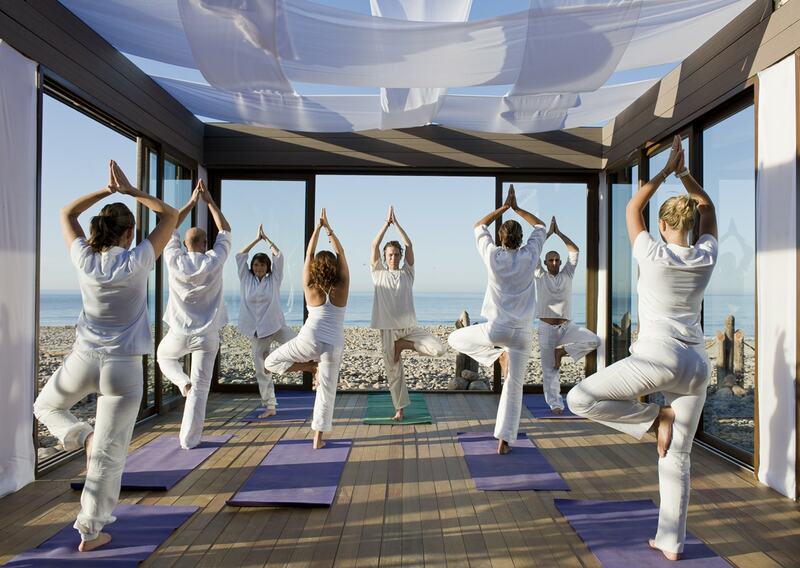 Yoga sessions are held on its beaches or in large windowed rooms overlooking the sea. Surf lessons are offered on the premises for first-timers to experience the art of hitting the waves. After a day at the beach, unwind and get the knots removed from your body by the hotel’s professional masseuses that will do spa treatments right on the beach. The resort’s interior is so tranquil that you’ll find soothing art like statues of Buddha and rock art throughout the facility. Looking to eat healthy during your stay? The resort’s own restaurant is the perfect place to eat guilt-free featuring heart-healthy dishes. Casablanca’s own spa hotel, Villa Blanca offers a relaxing escape in the middle of the country’s busiest city. The hotel is conveniently located on a beach with a spacious rooftop bar and lounge area. The villa’s hammam (Moroccan spa) offers everything from massages, to facials, to pedicures. The hotel’s decor is rich in earth tone colors and organic wood to provide a tranquil atmosphere to get you in touch with nature. A French-themed restaurant and others are located inside the hotel serving up authentic, but healthy fare. For a more traditional Moroccan way to relax, stay at Selman Marrakech, where the aesthetic alone is therapeutic. Expect to find mosaic-covered pillars surrounding a spa pool, luxury rooms with arched doorways, and a dimly-lit restaurant serving up Mediterranean cuisine. A horse farm is also part of the hotel’s charm as there are pure bred Arabian horses raised by the hotel, giving guests a spectacular view of the majestic animals from their hotel rooms. During your stay, visit the spa for traditional treatments like a black soap scrub, or a more modern jet-massage and hydrotherapy. 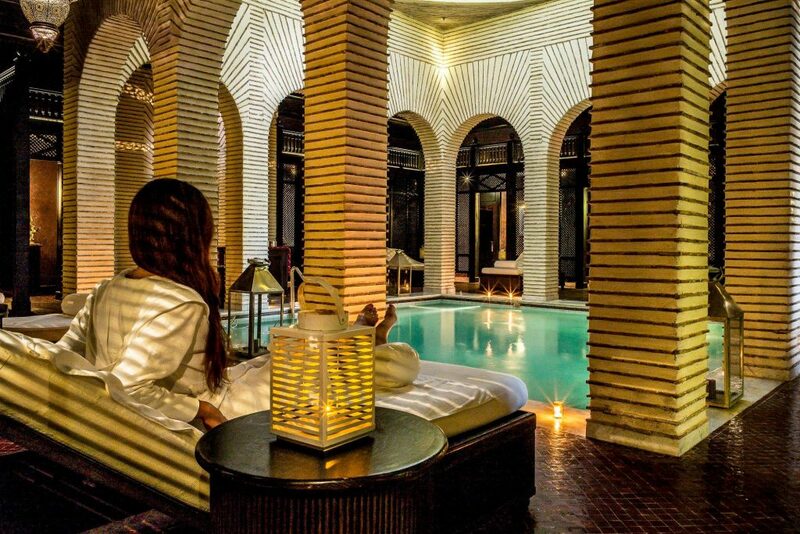 Fes has its own wellness hotel that’s well worth the trip to the interior of the country. Palais Amani has a minimalistic approach to its interior to take in the stunning beauty of mosaic and its outdoor garden. Guest rooms are traditionally Moroccan with stained glass windows, checkered mosaic floors, woven rugs and hand-carved wood furnishings. The hammam has several packages you can sign up for that range from a brief 30-minute Oriental treatment to day-long pampering for couples that ends up with a candlelit tapas dinner on the rooftop terrace. The restaurant has its own seasonal menu, so you’ll receive the freshest batches of goat cheese, chickpea tajines and olives. Join a cooking school that’s held at the hotel where you can learn how to make authentic Moroccan dishes. Palais Namaskar in Marrakech is a drop dead gorgeous location fit for a king. A large reflection pool is surrounded by exotic plants and lounge chairs where staff will bring you healthy juices to detox. Step inside and you’ll feel like every room is a grand ballroom with chandeliers and modern furniture. The spa at the hotel specializes in aromatherapy and often hosts retreats to manage stress, learn age prevention methods, and even has an ultimate rose pregnancy retreat for expectant mothers. A full-size gym (with a chandelier in it) and outdoor yoga classes are available for guests looking to stay fit and clearing out the body, the mind and spirit.